If you use your MacBook Pro in the closed-clamshell mode, which allows you to drive an external display while the MacBook is closed, you may find that losing the use of your Touch Bar will be an irritation. 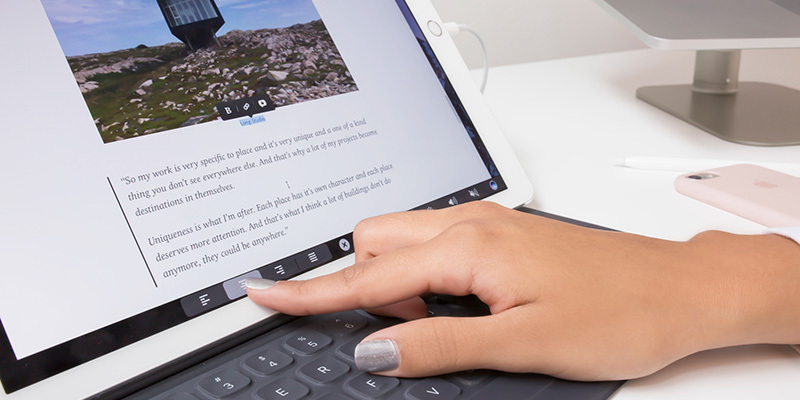 This can be overcome by using your iPad as an external Touch Bar via the Duet Display app. 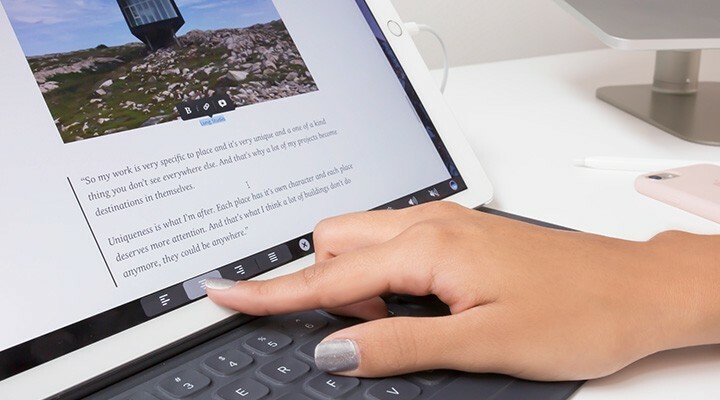 Duet can be used with an iOS device as both an external display and a Touch Bar, which offers the perfect solution to anyone using an older Mac, which doesn’t have the Touch Bar feature, or the latest model MacBook Pro in closed-clamshell mode. Duet Display is an app for iPhone and iPad which helps you to turn your iOS device into a second screen for your Mac. The 2016 update for the app also allows you to use a virtual Touch Bar with that second display, even if your Mac doesn’t have a hardware Touch Bar. And as a bonus, any app that has been updated with Touch Bar support, will work with the virtual version as well. Once you’ve downloaded Duet, you just double click the app as you would with any other app. It will then move to the Applications folder and request permission to add a graphics driver (you need the driver in order to supply the high performance display on your iPad) this will only add an additional driver for Duet’s operation and not affect your system drivers. Duet are certified by Apple to load the driver onto your Mac so it’s safe to do. Once this is all done you’ll need to restart the Mac, then you can get started. Duet’s icon will appear in the menu bar – a circle with a lowercase d – and from here you can access the duet settings which you can tweak to your preferences. Obviously this set up is a great workable solution for anyone with a Mac that has hardware which predates the Touch Bar but it is also a really useful option when you’re running a MacBook Pro in closed-clamshell mode and can’t access your Touch bar. Macs have always been great at handling multiple monitors and with Duet Display, or any other external screen, you can choose to have your Mac’s display mirrored or you can use it to simply extend the Mac’s display, which is much more useful when you find yourself working on smaller screens. Just the same as with multi-screens on a desktop, if you connect your iPad with Duet Display running you can drag a window from your Mac’s screen over onto the iPad. If you’re short on space or having to work somewhere which has limited space available, using an iPad with is case folded and propped up takes up decidedly less space than a MacBook Pro 13 or 15 inch does. This is why many people opt to use the closed-clamshell mode and doing this with the help of the Duet app you can also access your Touch Bar functions with your MacBook closed. Duet also allows you to have a second external display for your Mac, which gives you far more versatility than just the single display. There are down sides of course, using closed-clamshell mode will still mean you miss out on Touch ID with MacBook Pro, but you can’t have everything! If you want to find out more about leasing the latest iPads and Macbooks for your business, give our team a call on 020 7111 1643.